Working outdoors come February I am well and truly over the hot weather. After getting through the craziness of December and making it through January, I find February particularly tough, and start to look forward to some milder weather. This year has been no different with a very hot start to February. The last three day have been mid 30's with high humidity blergh. February's saving grace is the chance of a good storm, and on Monday there was a spectacular storm, a large cumulonimbus cloud formed and with the sun setting and lightning firing off inside it was fantastic to watch. 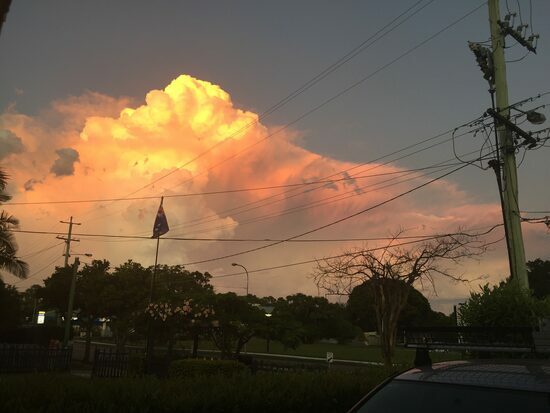 Interesting going ons in Brisbane skies. 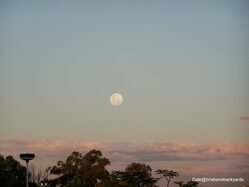 There have been a few interesting things happening in the skies of Brisbane recently. 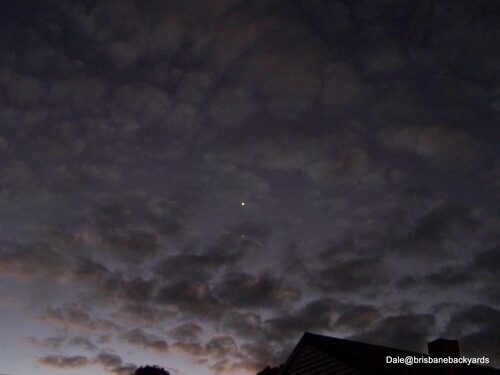 You may have noticed looking west after sunset the two bright lights of Venus and Jupiter getting closer together over the past month. Then last Wednesday the 1st of July there was a celestial conjunction with the two planets appearing to almost touch as they passed each other. And then a week later on the 8th of July we were lucky enough to see the International space station hurtle passed both planets. Having heard the space station would pass at around 5:30 we watched from the backyard it was great to be able to use Venus and Jupiter as a reference point so we knew where to look. And sure enough we were able to make out a small white light that looked like a faint small star, there was a lot of scattered cloud but we were still able to track it as it made its way across the horizon. 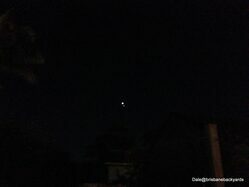 Unfortunately my camera didn't pick up the space station but it was great spectacle to witness. Also while you are looking skywards keep an eye out for the blimp currently cruising over brisbane advertising Appliances online. 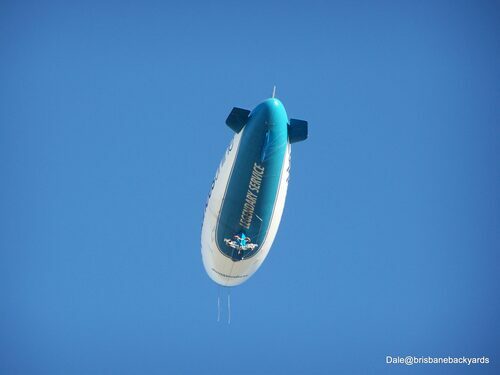 We have had it fly over our suburb a few times, it is quite a sight to see a blimp it is not something you see often. I also saw it flying at night and it looks fantastic all lit up at night.